It was not until early this week that the air became breathable again so I visited Taoranting station on Line 4, just beside, uh you know, Taoranting Park (陶然亭公园 Táorán tíng gōngyuán). 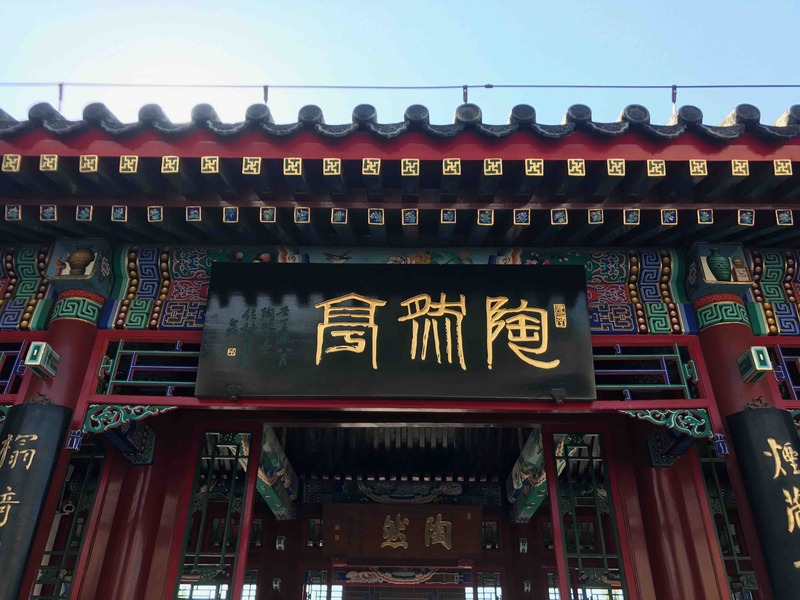 It’s located southwest of the Forbidden City. 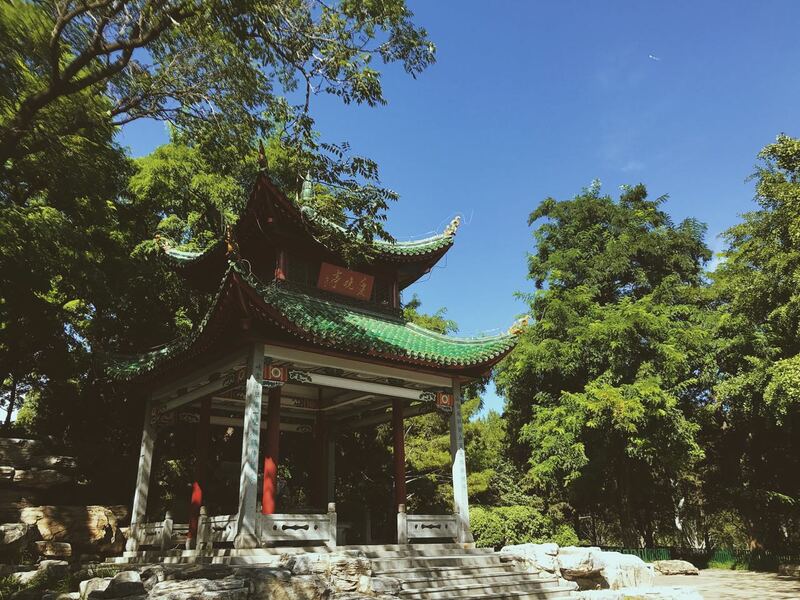 It may not be as majestic as other imperial palaces in Beijing, but let me tell you: the park gives you a sense of what a “downgraded” Summer Palace is. 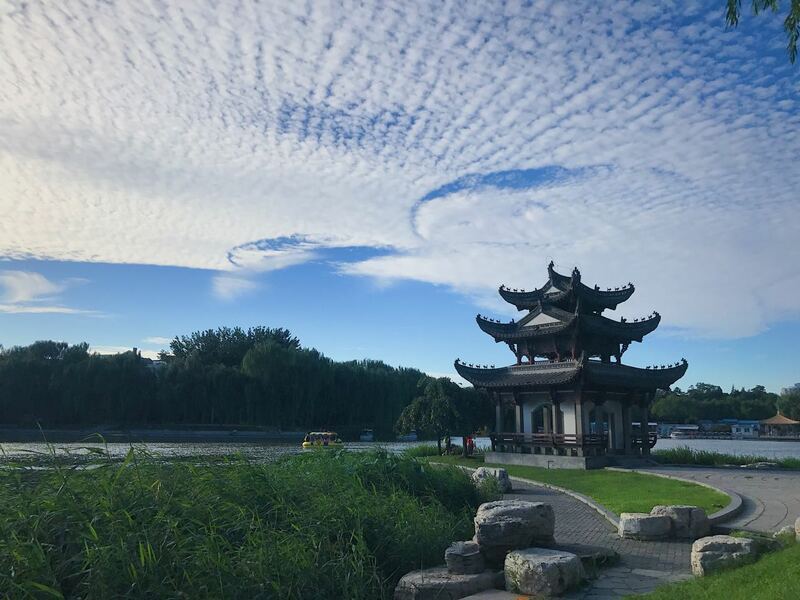 Its namesake, 陶然亭 Táorán tíng, which means “Joyous Pavilion” in Chinese, is just one of the pavilions in the park that offers a nice view of… willows and a stagnant lake. Other pavilions sit on top of hills, which wouldn’t look spectacular on any given Beijing day. 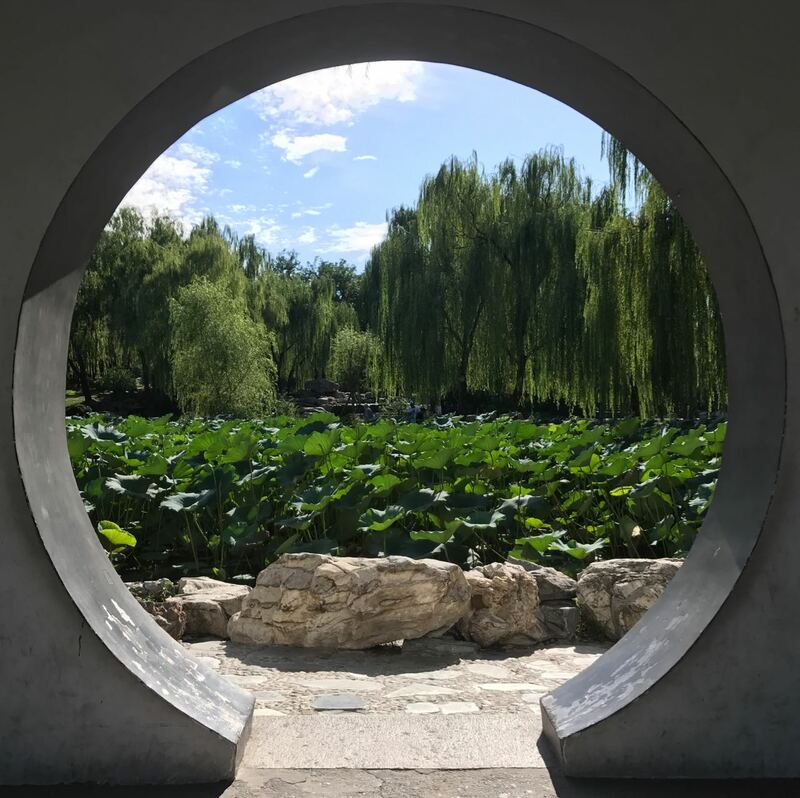 But since I went to the park on a miraculous AQI 4 air day, I was treated with a calming but sleepy breeze, complete with dama singing high pitched Chinese opera repertoire and laoren talking about life and playing Chinese chess. The view of Taoranting is underwhelming in today’s sense but in imperial times, it’s the only place where commoners could have a view of the city given it is sitting on a hill higher than most of the city fortifications. Also, common houses were forbidden to be on a level higher than the imperial palace. For ordinary people, it’s the only elevated ground to go – and this was important for them. The Taoran Pavilion, which is technically now a part of a wider museum complex. Let us wait until the chrysanthemums are golden and our home-brewed wine matured, then with us all shall be intoxication and joy. – To the north were common houses; today they’re high-rise apartments. – To the northwest, you can see a shallow, non-flowing lake full of lotus and reed. – To the south were city walls; today it’s a big road that occupies the southern area outside of the park. 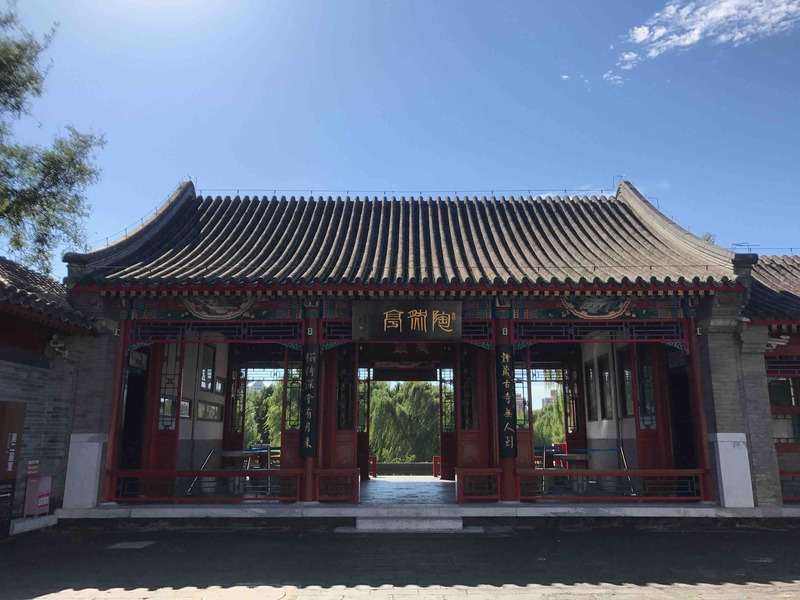 I wouldn’t go into details about the history of each pavilion (there are 24), but according to the park introduction, Taoranting is one of four most famous pavilions in China (it didn’t say more about the other three, though). And despite being famous, the area wasn’t maintained during imperial times, so that the lake became stagnant and a breeding ground for mosquitoes. China.org adds that the thick forest was a place for criminals while the pine trees there were used for, uh, suicides by hanging. It was not until the park’s formation in 1952 that the area was rebuilt and converted into a park., becoming a “municipal priority and a protected site” in the city. Replicas of pavilions from other parts of China were subsequently added during the reconstruction. A panoramic view of Taoranting Lake just before sunset. So there you have it! 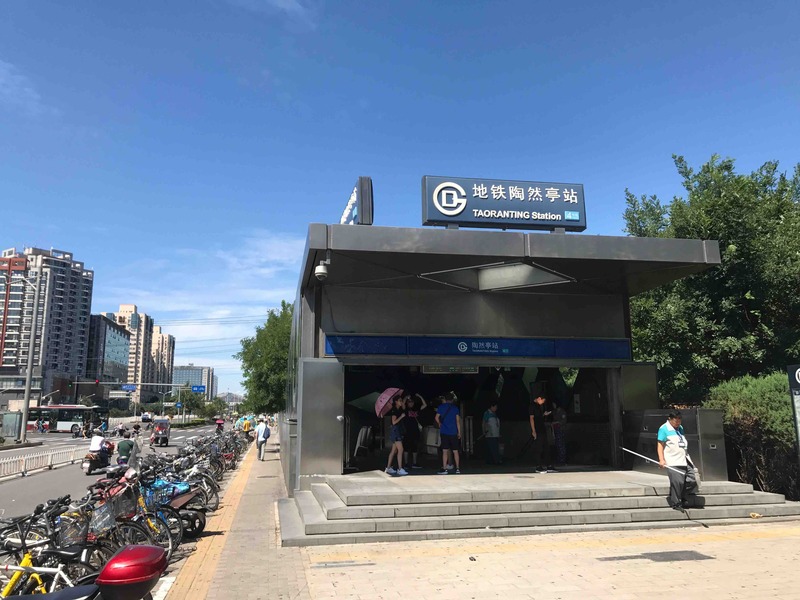 If you know or want to share any story about subway stations or subway travel in general, let us know by emailing webeditor@beijing-kids.com or by leaving your comments below. Sun and Fun: Swiss Food Festival, Summer Chess Camp, Explore the BJ Metro, and More!